Today(June 17,2008) is the D-Day as Mozilla plans to release the much-awaited, much-hyped FIREFOX 3 and what's more, they are planning on a world record download within the first 24 hours of its release.The hype created around looks strong as we observed in their website, a staggering 1.45 million pledges to download it on its release day itself! To help its cause, Mozilla is hosting a Download Day event, the Camp Firefox BBQ, at its offices in Mountain View, California, on Tuesday. The company also has asked Firefox fans to host parties to encourage friends to download with them, and place "Download Day" buttons on their Web sites as reminders of the big day. 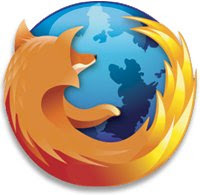 Firefox 3 is based on the Gecko 1.9 Web rendering platform, which has been under development for the past 34 months. Building on the previous release, Gecko 1.9 has more than 15,000 updates including some major re-architecting to provide improved performance, stability, rendering correctness, and code simplification and sustainability. Firefox 3 has been built on top of this new platform resulting in a more secure, easier to use, more personal product with a lot more under the hood to offer website and Firefox add-on developers. One-click site info: Click the site favicon in the location bar to see who owns the site and to check if your connection is protected from eavesdropping. Identity verification is prominently displayed and easier to understand. When a site uses Extended Validation (EV) SSL certificates, the site favicon button will turn green and show the name of the company you're connected to. Integration with Linux: Firefox's default icons, buttons, and menu styles now use the native GTK theme. Location bar & auto-complete: type in all or part of the title, tag or address of a page to see a list of matches from your history and bookmarks; a new display makes it easier to scan through the matching results and find that page you're looking for. Results are returned according to their frecency (a combination of frequency and recency of visits to that page) ensuring that you're seeing the most relevant matches. An adaptive learning algorithm further tunes the results to your patterns! Places Organizer: view, organize and search through all of your bookmarks, tags, and browsing history with multiple views and smart folders to store your frequent searches. Create and restore full backups whenever you want.